Brad Diamond is a talented tenor known for his musicianship and style. Dr. Diamond has performed Messiah with the Roanoke Music College, Buffalo Philharmonic, Jacksonville Symphony, Richmond Symphony, Oratorio Society of New York, Nashville Symphony, Tulsa Philharmonic, and Princeton Pro Musica. For three years he was a featured artist in “An Evening of Gilbert and Sullivan” which performed with symphony orchestras in Cedar Rapids, Buffalo, Lakeside, Richmond and St. Louis among others. On the operatic stage he has performed the role of Almaviva in the Barber of Seville with Lyric Opera Cleveland, Opera Pacific, and a recording for Public Television Broadcast with the Florentine Opera Company of Milwaukee. Diamond has performed the role of Ralph Rackstraw in HMS Pinafore with the Dayton opera and Prince Ramiro in Rossini’s La Cenerentola with the Indianapolis and Nashville Opera Companies. A return engagement with the Florentine Opera featured Diamond in the role of Tonio in La Fille du Regiment by Donizetti. A Specialist in oratorio repertoire, Dr. Diamond has performed the Evangelist in Bach’s St. John Passion with the Winter Park Bach Festival and Trinity Church at Wall Street. He has also performed the Evangelist in Bach’s St. Mathew Passion with the Richmond Symphony, Trinity Church at Wall Street and Winter Park Bach Festival. Recent engagements include Bach’s St. Mathew Passion, Handel’s Messiah, and Xerxes with the Richmond Symphony, Haydn’s Paukenmesse with the Charleston Symphony, Bach’s Magnificat with the Nashville Chamber Orchestra, Orff’s Carmina Burana with the Fort Wayne Philharmonic, Spokane Symphony and Greenville Symphony and Benjamin Britten’s War Requiem with the Bangor Symphony. Diamond’s performance repertoire includes works by Cavalli, Monteverdi, Bach, Handel, Haydn, Mozart, Beethoven, Schubert, Rossini, Berlioz, Orff, Bartok, Janacek and Britten with symphony orchestras across the United States and Canada. Dr. Diamond completed his Bachelors of Music Degree from Westminster Choir College in Princeton, NJ in 1991. He received his Masters and Doctorate degrees from the University of Cincinnati’s College Conservatory of Music between 1993 and 2004. While attending Westminster, Diamond sang as a soloist under the baton of the late Leonard Bernstein. 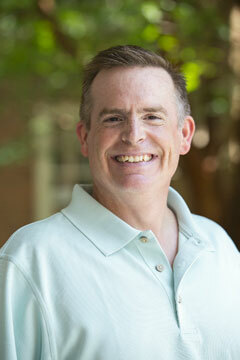 Dr. Diamond currently holds the position of Assistant Professor of Voice at Samford University in Birmingham, Alabama. Diamond travels as a guest recitalist and presents his lecture “Singing With Purpose” at universities across the United States and Canada.